Third installment of the comedy drama franchise Yamla Pagla Deewana silently went on floors from August 10 in Hyderabad and set to be released next year. 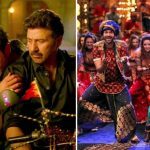 More than four years after the release of it’s second installment, the Deol trio is coming back to tickle the funny bones of fans with Yamla Pagla Deewana Phir Se. 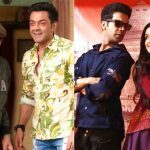 Veteran actor Dharmendra and son Bobby Deol have begun the shooting of the film, while Sunny Deol will join them soon. 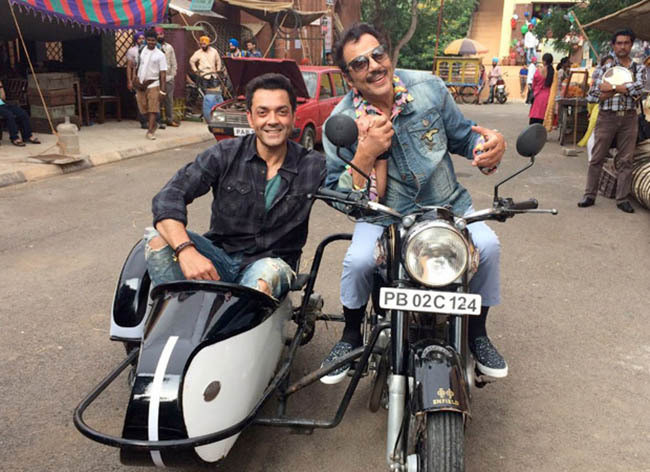 On August 12 in evening, Bobby took to Instagram and shared a picture from the set of Yamla Pagla Deewana Phir Se. He captioned, “Yamla and Deewana waiting for the Pagla to join … on set YPD- phir se!!”. The picture features Daddy Deol and Bobby recreating the classic Jai-Viru pose from 1975’s Sholay played by Amitabh Bachchan and Dharmendra respectively. The other thing to notice, is that Dharam Paaji is sporting a mustache which happens very rarely. First installment of the franchise Yamla Pagla Deewana brought the father-sons trio for the first time in 2011 and that was a hit. Then in 2013, Deol men came back with it’s sequel which got failed to impress anyone except fans. 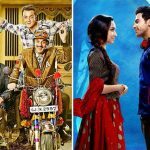 In a recent interview Dharmendra told, that he had already predicted the failure of Yamla Pagla Deewana 2 after watching it’s trailer. About the upcoming film he said, “Yamla Pagla Deewana 3 will be an in-house picture. 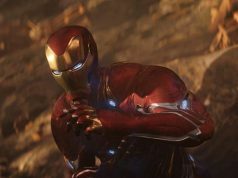 It will be very good and the characters are very good”. Produced by Sunny Deol and Jayantilal Gada, Yamla Pagla Deewana Phir Se is being directed by well known Punjabi filmmaker Navaniat Singh and starring Kajal Aggarwal opposite to Deols. It is set to hit screens in 2018, meanwhile Sunny & Bobby is gearing up for Poster Boys slated to release on 8th September this year.